The two most active constituents found in blueberries are anthocyanins and pterostilbene. Blueberry anthocyanins are considered one of nature’s most potent antioxidants. Pterostilbene is the other blueberry constituent that helps maintain healthy lipid and glucose levels that are already within healthy ranges. 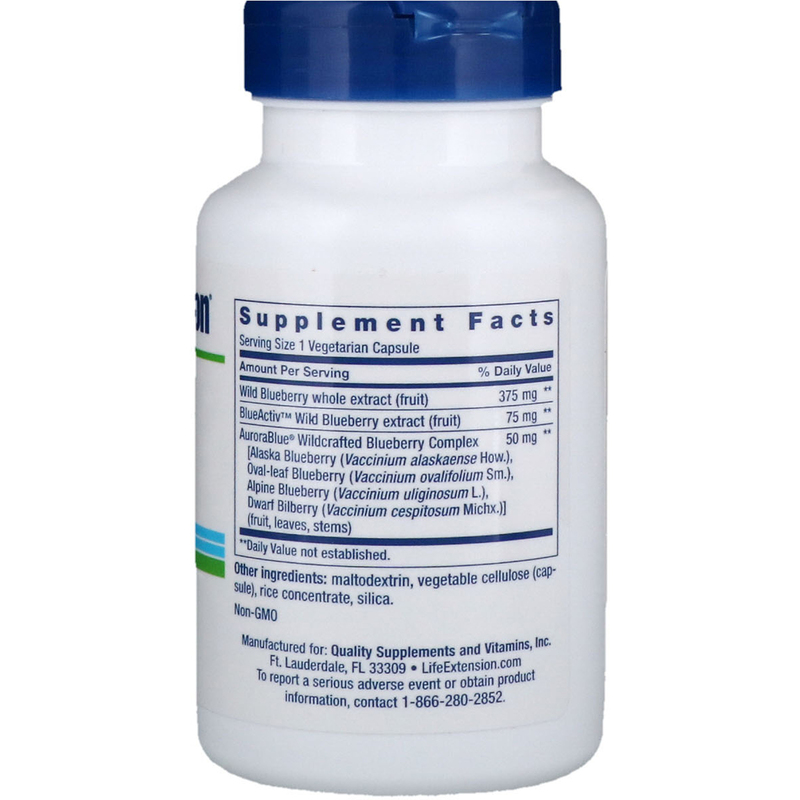 Through its unique biological effects and antioxidative potential, pterostilbene helps maintain healthy DNA structure. Scientists have discovered mechanisms to explain how blueberries can improve memory and restore healthy neuronal function to aged brains. 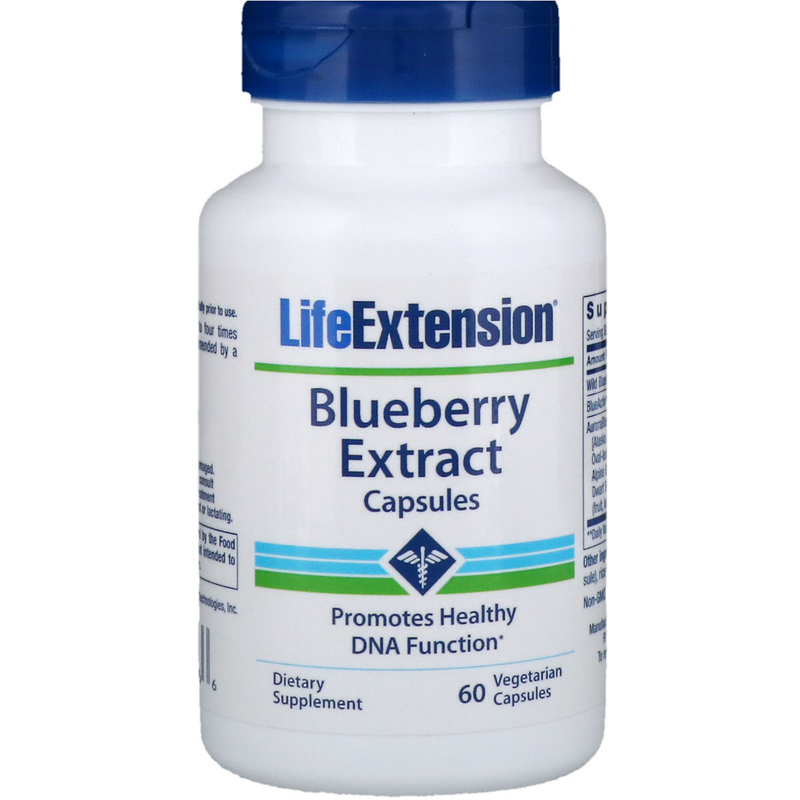 Blueberry Extract Capsules contain a combination of highly concentrated wild blueberry extracts (not cultivated). These extracts are standardized to natural compounds that have the highest health benefits associated with consumption of fresh blueberries. To augment the benefits of this healthful fruit, a wild blueberry extract has been added to Blueberry Extract that provides more potent active ingredients than cultivated blueberries. Blueberry Extract contains AuroraBlue wild Alaskan blueberries, which possess nearly 10 times the antioxidant capacity of cultivated berries. Take one (1) capsule one to four times daily, with or without food, or as recommended by a healthcare practitioner. Maltodextrin, vegetable cellulose (capsule), rice concentrate, silica.